Who knew the truth would make such great fiction? Once upon a time four aspiring authors met at a writers’ conference. Ten years later they’re still friends, veterans of the dog-eat-dog New York publishing world. Mallory St. James is a workaholic whose novels support her and her husband’s lavish lifestyle. Tanya Mason juggles two jobs, two kids, and a difficult mother. 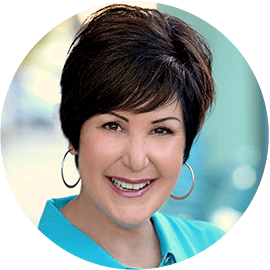 Faye Truett is the wife of a famous televangelist and the author of bestselling inspirational romances; no one would ever guess her explosive secret. Kendall Aims’s once-promising career is on the skids—as is her marriage. Her sales have fallen, her new editor can barely feign interest in her work—and her husband is cheating. Under pressure to meet her next deadline, Kendall holes up in a mountain cabin to confront a blank page and a blanker future. But her friends won’t let her face this struggle alone. They collaborate on a novel none of them could write by herself, using their own lives as fodder, assuming no one will discover the truth behind their words. 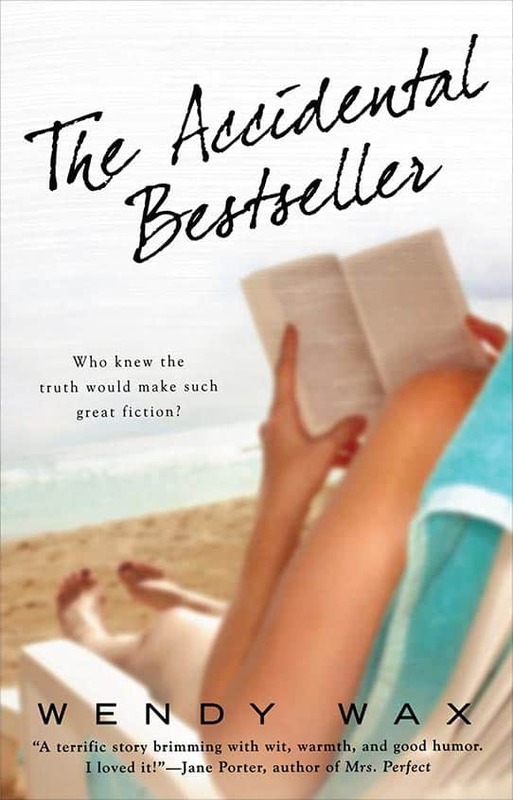 No one is more surprised than they are when the book becomes a runaway bestseller. But with success comes scrutiny and scandal. Now all bets are off…as these four best friends suddenly realize how little they’ve truly known each other. Kendall Aims’ writing career was about to go down for the count on that Friday night in July as she hurried down Sixth Avenue toward the New York Hilton. It had taken many blows over the last year and a half–the first when her editor left Scarsdale Publishing to have a baby, leaving Kendall orphaned and unloved; another when her new editor, a plain, humorless woman named Jane Jensen, informed her that her sales numbers were slipping. And still another when they showed her the cover for the book she’d just turned in; a cover so bland and uninteresting that even Kendall didn’t want to open it. And on which her name had shrunk to a size that required a magnifying glass to read it. She landed on the ropes when the print run for this new book was announced. Kendall’s first thought was that someone had forgotten to type in the rest of the zeros. Because even she, who had given up on math long ago, could see at a glance that even if they sold every one of these books, which now seemed unlikely, she’d never earn out the advance she’d been paid. Looking back, it seemed as if one day she was perched prettily on the publishing ladder, poised to make all the bestseller lists, the next the rungs had given way beneath her feet leaving her dangling above a bubbling pit of insecurity and self doubt. Not to mention obscurity. Tonight her publisher, like all the other publishers participating in this year’s national conference of the Wordsmiths, Incorporated., or WINC as it was affectionately abbreviated, had hosted an obligatorily expensive dinner for its stable of authors. There, Kendall had smiled and eaten and pretended that she was happy to write for them while they pretended that even after eight years spent proving otherwise, they still intended to make her a household name. Now, one filet mignon, two glasses of wine and a crème brule later, Kendall hurried through the hotel lobby barely noticing the knots of chattering women scattered through it. The waistband of her pantyhose pinched painfully and her toes, more used to Nike’s than Blahniks, throbbed unmercifully. She felt, and she suspected, looked like what she was—a suburban Atlanta housewife whose children had left the nest and whose husband barely noticed her. At 45 not even expensive highlights and a boatload of Lycra could disguise the fact that her body had given up its struggle against gravity. She reached the lounge and was already scanning the crowd for familiar faces when two women stepped up beside her. One was tall and blocky, the other short and round. A cloud of nervousness surrounded them. “Let’s just walk through and pretend we’re looking for someone.” The tall one was clearly in charge, her broad shoulders set in determination. Kendall flushed with memory. She might have been either one of these women ten years ago. Shy, insecure and dreaming of publication, she’d been stuck on the fringes of her first national conference desperate to sell the book she’d somehow managed to write, but unable to imagine how it could possibly happen. Kendall smiled, drawn out of her own misery for the first time since she’d arrived in New York early that afternoon. She and Mallory and Tanya and Faye had met at their first Wordsmiths, Incorporated conference in Orlando; all four of them wannabes who’d stood knees knocking, waiting for their turn to pitch an idea during editor and agent appointments. Fifteen minutes to try to sell yourself and your talent to a twenty something girl who held all the power and couldn’t understand why you, who might be as old as her mother, or possibly her grandmother, were unable to keep your voice from cracking as you delivered your carefully memorized pitch. They’d bonded then and there, four women of disparate ages and even more disparate backgrounds drawn together by their fear and longing. How many times during that first conference had Mallory dragged her through the cocktail lounge insisting they had to work the room and get their names out there? How often had the four of them sought each other out in that sea of two thousand strangers, carving out their own ground, pooling their strengths and resources, vowing that all four of them would beat the odds and see their books in print? Miraculously, they’d done it, continued to do it. Against all those frightening odds. Kendall’s own chin went up a notch. Her career might be faltering, but she did, in fact, have one. She was multi-published by a major New York publisher and so were her friends. They’d all done respectably, though Mallory was the only of them who’d hit the all-important NYT list regularly. Somewhere inside this bar the three of them waited for her, back from their own publisher dinners and parties, a warm cozy oasis in the middle of the Sahara of publishing. Her children might not need her anymore; her husband, well, she wasn’t ready to think about what, if anything he wanted from her anymore. But she had her friends and she was somebody in this world. A smallish somebody perhaps. Not as big as Mallory. Or as prolific as Tanya. Or in as hot a space as Faye. But she had value here, her name was known. She wasn’t finished yet. Because if she wasn’t an author, she was nothing. And nothing was the one thing Kendall Aims was not prepared to be. “There you are!” Mallory St. James moved quickly and surely toward Kendall, a tall, elegant figure in sleeveless black silk. Velvety brown hair brushed slim shoulders and diamonds glittered at her ears and throat. The two women next to Kendall gasped in recognition, but Mallory’s smile stayed firmly in place. Kendall marveled at Mallory’s social dexterity; she’d become a master at making the readers who bought her books and kept her on the lists feel good without encouraging them to become too familiar. The bar was knee deep in men and women of all shapes and sizes. Rings of chairs surrounded too tiny tables. It looked and sounded as if all 2,000 conference attendees had tried to cram themselves into the lounge at the same time. Mallory shrugged her bare shoulders, unperturbed. Kendall hated the whine that had crept into her voice. Normally the four of them laughed over the idea of anyone being in awe of any of them. They’d started together and held each other’s hands through the giddy heights and rock bottom lows that were an inevitable part of publishing. Envy and resentment had never been factors in their relationship and Kendall was horrified to be feeling both now. “I know that was not a note of self pity I just heard in your voice.” Mallory nodded to a knot of women who’d fallen silent to observe their progress. “A note.” Kendall snorted. “That was a fugue. A full fledged symphony. My entire career is in the toilet. I just keep praying that nobody flushes. A woman at the bar pointed them out to her friends. Two more tables stopped talking as they passed. “Do you think we should have just had a bottle of wine in the suite?” Kendall could feel the weight of the eyes on them, assessing, wondering, trying in a glance to glean Mallory’s secret for making all those bestseller lists. Curious how close she was to Kendall whose career was nowhere near as big. Kendall had originally clung to the wall and even begun to inch up it; now she seemed to be sliding back down at an alarming pace. Kendall looked at Mallory, whose rise had been nothing short of meteoric and an ugly pocket of envy filled her heart. How had she sailed through so unscathed when Kendall felt so badly bruised and beaten? Kendall pushed the bitterness away as Mallory slowed. She looked up as Tanya and Faye, still dressed from their publisher parties, waved their hellos. “Hey, over here!” The youngest of their foursome, Tanya Mason was 35 with blonde hair that could only be described as ‘big’ and an oval face dominated by a pointy chin and cornflower blue eyes. Her accent was pure country and so was her attitude. She wrote stories about single mothers like herself for Masque Publishing, with the occasional NASCAR hero thrown in. Kendall felt the room and the curious eyes recede as she accepted a glass of the Red Zin. “I think Masque should be paying you a bigger advance to compensate for the inevitable hospital bills,” Kendall replied. Tanya’s editor, Darby Hanover, was both highly competitive and a notorious jock with a passion for hair-raising adventure. Her favorite authors often found themselves a part of those adventures, even those like Tanya whose spirits were willing, but whose muscle-tone was weak. Faye rolled bespectacled eyes at Tanya, though the eyeglasses couldn’t hide the twinkle that resided there. She was sixty, referred to herself as ‘full figured’, had cropped salt and pepper hair and was the wife of the charismatic televangelist, Pastor Steve, though you’d never hear it from her. A former film and broadcast producer, Faye wrote novels for the increasingly popular inspirational market. She was also their group’s head cheerleader and chief organizer, planning their bi-yearly brainstorming retreats and keeping them all in touch with each other. Where, Kendall wondered, would she be without the three of them? Still standing on the outside with her nose pressed against the glass looking in, no doubt. None of them, not even Mallory, would be where they were without the others. “Here, here.” They clinked glasses and drank, the wine sliding easily down their throats as the warmth of friendship wrapped its comforting cloak around them. “We better drink to that again. Because if I don’t win, I won’t be held responsible for my actions.” Kendall held her glass out for a refill. They drank in silent accord and ordered a second bottle. At that moment every one of them believed better things lay ahead, that wanting could make it so, and that the bonds of their friendship had already been sufficiently tested. The The Accidental Bestseller download includes discussion points. 1. In the beginning of the book, Kendall has placed all her career hopes on winning an industry award. Was that unrealistic? Would her life have been all okay if she had won? 2. Kendall struggles in some ways with envy over the career and life her friend Mallory has. Is it possible to be jealous of someone but still genuinely love and care for them? 3. In many ways, the Accidental Bestseller is about secrets and lies. Faye and Mallory are keeping some pretty big secrets while Kendall is deeply affected by the secrets and lies of others. Do you think it is safe to say that most people live with secrets and lies like these? 4. If you don’t know all of your friends’ secrets, as is the case with the women in the book, are you really friends? Does honesty matter above all else? 5. All of the writers in the story very much define themselves by what they do. Do you find that’s true for most people? What if that career based definition of self was taken away from you? 6. Lacy, the assistant editor takes some pretty big risks to work around Jane and get the book published and supported the way it should be. What motivated her? Do you think an older, more seasoned employee would have done the same thing? 7. Why do you think the author chose to have some of the women in new relationships like Tanya and Lacy and others in long standing marriages, like Kendall, Mallory and Faye? Compare the relationships and the affect they have on the women. 8. Kendall, Faye and Tanya all have children in different stages of life and yet their children very much affect their decision making. Discuss the differences and level of importance the children have. 9. The Accidental Bestseller is very much a book within a book. As a reader how did you react to that? Did it make you think more about the author and real world outside the book? 10. In the end, the truth comes out for all four of the friends and though their lives may be changed it seems to be for the better. Do you think the truth does always make things better? How would the story have been different if no one had ever found out how the book got written?